All of us here at Peconic Pediatrics couldn’t be more excited to be opening a new location in Southold, NY! The practice officially opened on Monday, September 8th and we look forward to seeing new faces and meeting new families. While we may be the new pediatricians in Southold, NY, our physicians and staff have decades of combined experience in caring for the total health of children. We offer well visits, sick visits, lactation consultants, asthma care, allergy testing, pediatric mental and behavioral health, pediatric digestive care as well as The Balanced Plate Academy, a fun, innovative and effective way to educate your family about choosing a healthier lifestyle. In the coming months, we also hope to offer numerous, informative classes and events, such as CPR certification, prenatal breastfeeding and newborn care, flu clinic and so much more. What sets us apart from other pediatricians in Southold, NY, Babylon, NY, Brookhaven, NY, East Hampton, NY, Huntington, NY, Islip, NY, Shelter Island, NY, Smithtown, NY, Southampton, NY and other Suffolk County pediatricians? Because we don’t speak doctor – we speak parent. We make ourselves available for every milestone, big and small, from birth through college, with the medical answers you need and the parental peace of mind you want. We don’t speak doctor – we speak parent. In addition, we are a part of Allied Physicians Group, a large group of individual physician practices that have merged resources to go above and beyond for families throughout Long Island and New York State,. Because of this, we are able to offer a variety of vital online and offline resources. For our new office’s address, hours, directions and contact information, please visit our Contact Us page. We invite you to become a part of the Peconic Pediatrics family today! 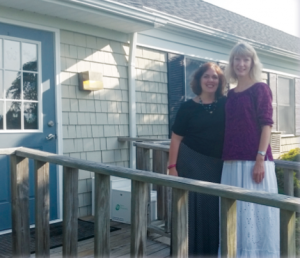 We hope to see you soon at our new office in Southold.